A Reparative Act, Ace’s 2010 performance in Paris, France has now been archived on this site. 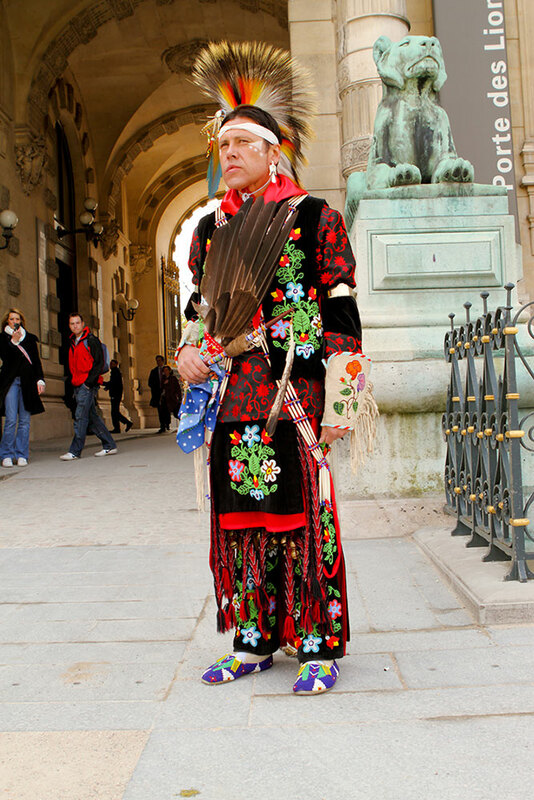 The work was performed in four parts, honouring the Indigenous dancers who visited Paris in 1843 performing in George Caitlin’s traveling portrait gallery exhibition. The dance troupe was led by Maungwaudaus (George Henry), a Mississauga who is also known for publishing his observations of his travels in Europe. 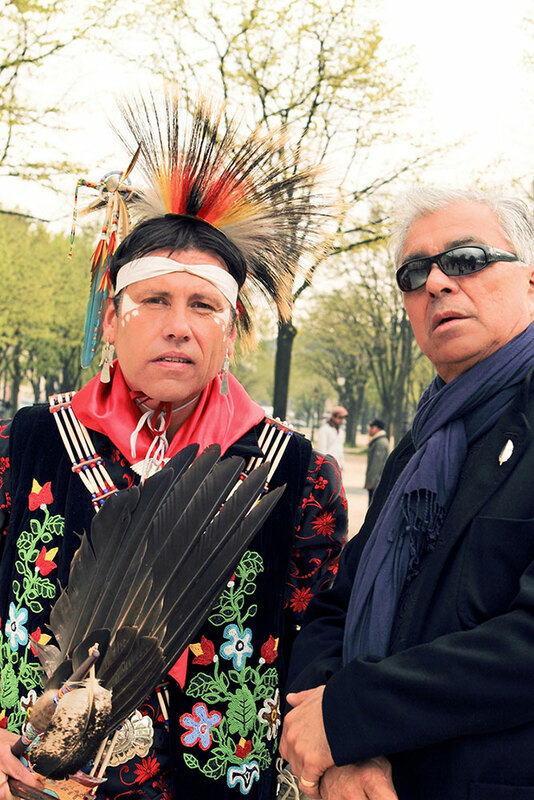 Ace’s historical performance opened Robert Houle’s exhibition Paris/Ojibwa at the Canadian Cultural Centre. 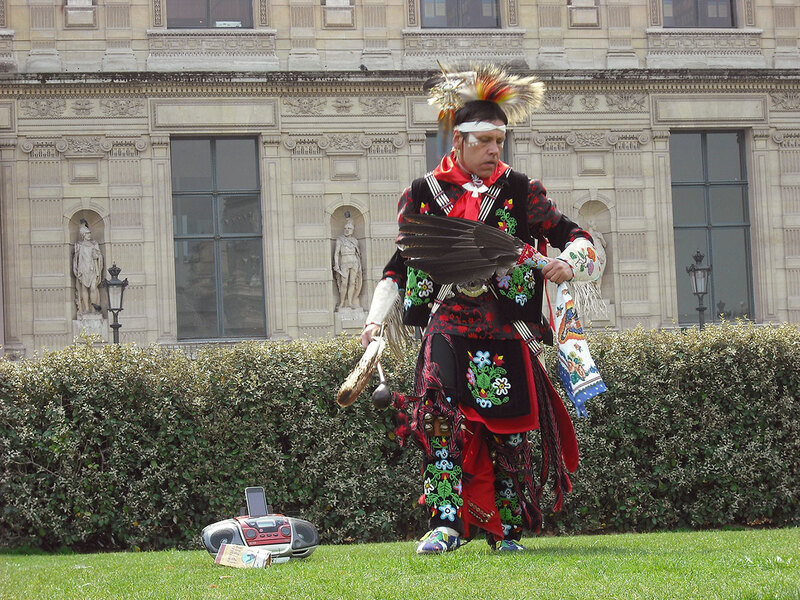 Inspired by Houle’s Paris/Ojibwa, Ace undertook the performances in full regalia at four site-specific locations in downtown Paris for four of the dancers: Maungwaudaus (Great Hero), Louvre; Noodinokay (Furious Storm), Jardin des Tuileries; Mishshemong (King of the Loons), Place de la Concorde; Saysaygon (Hail Storm), L’esplanade des Invalides. View more of the visuals and written documentation, including Ace’s essay, now under the Performance Section of the website.